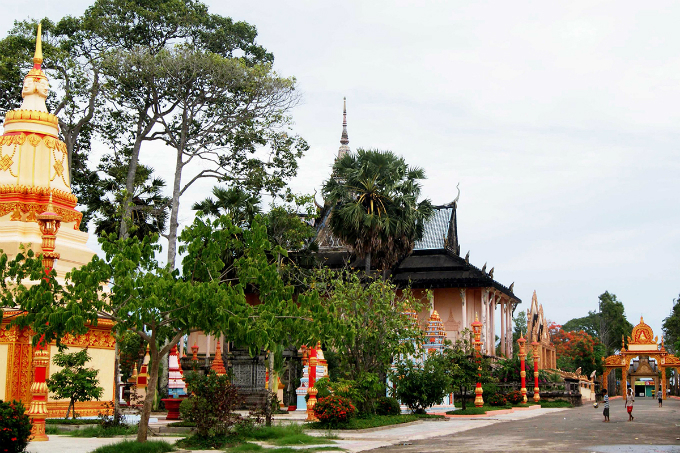 100-year-old Xiem Can Pagoda in Bac Lieu Province harks back to times when the Khmer culture flourished in Vietnam. 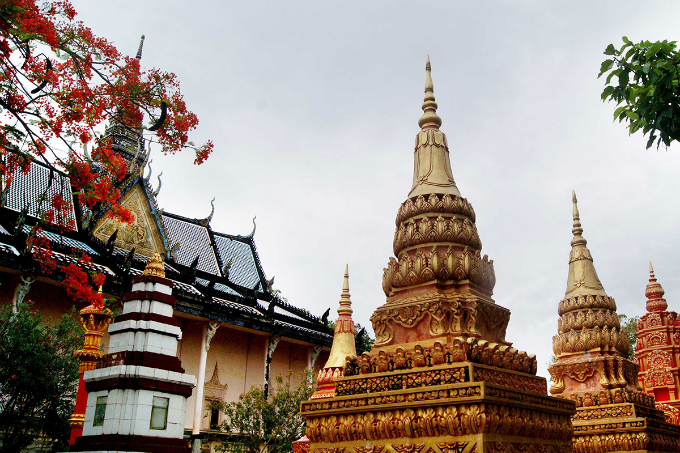 The Xiem Can Pagoda was built in 1887. “Xiem Can” means “adjacent to water” in Teochew, a variation of the Chinese language. The name comes from the fact that the land sits right next to a sand bar. 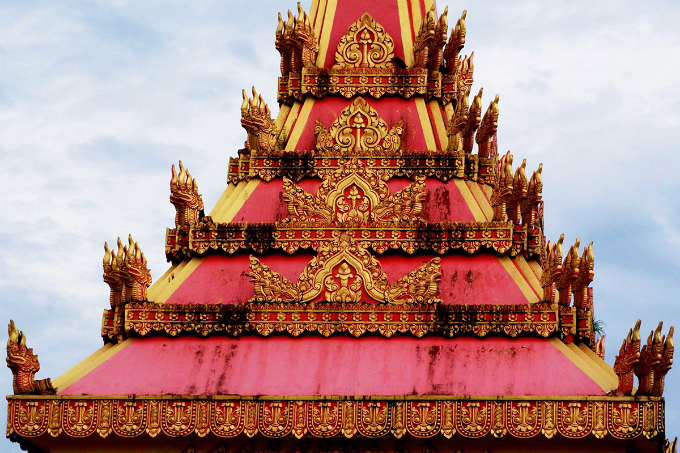 The pagoda is reminiscent of places of worship found in Thailand and Cambodia. 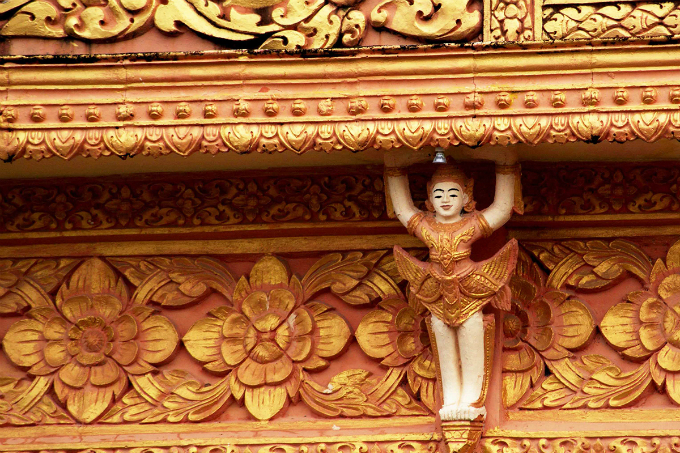 Angkor architectural elements can be found in the entrance to this pagoda. 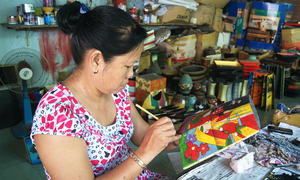 Xiem Can exudes peace and quiet at all times. 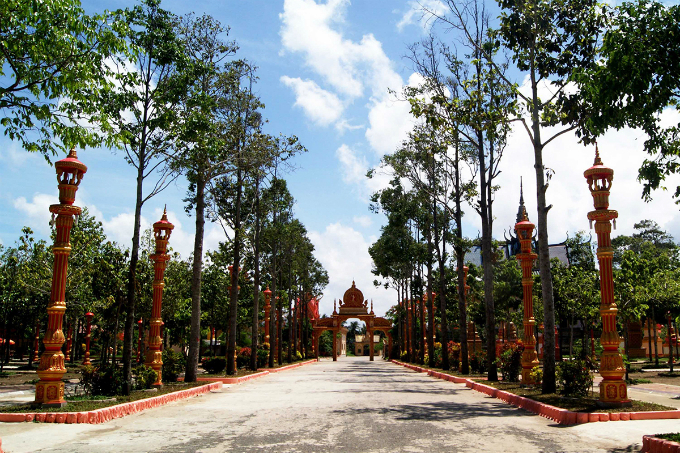 Several tall trees provide a backdrop to the small towers where ashes of the deceased are placed. 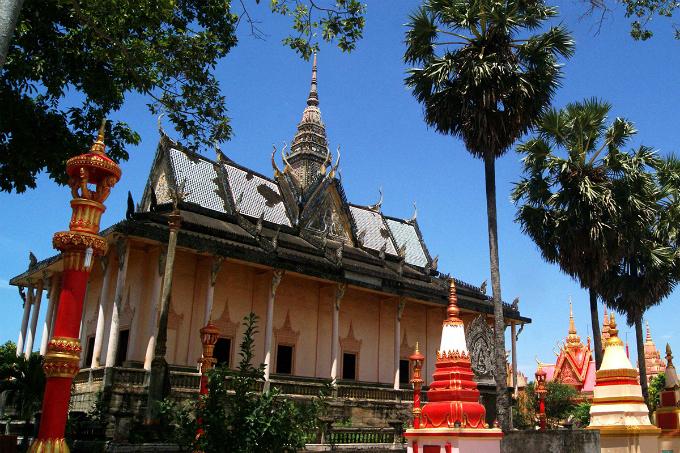 Such towers are distinctly Khmer. 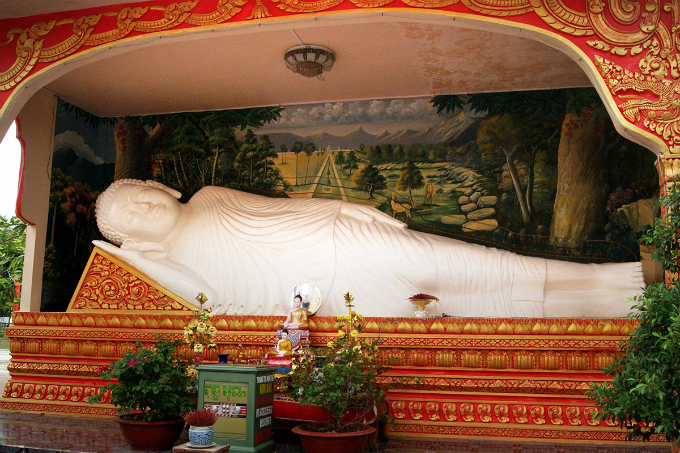 The Nirvana Buddha idol is one of the pagoda's highlights. 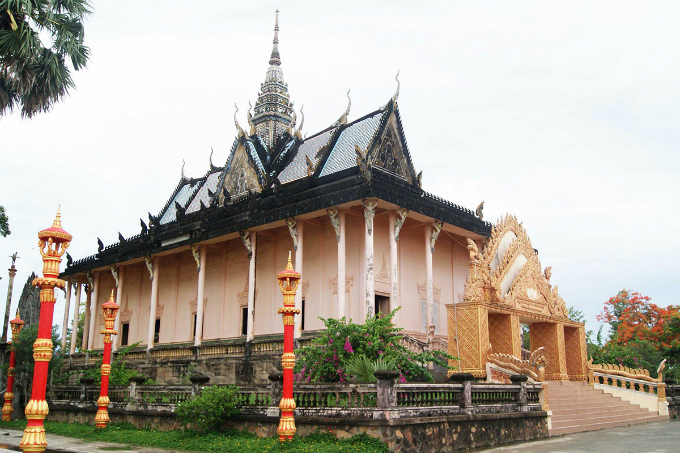 "Kinh no," which means fairy in Khmer language, is one of many motifs found in the Xiem Can pagoda. 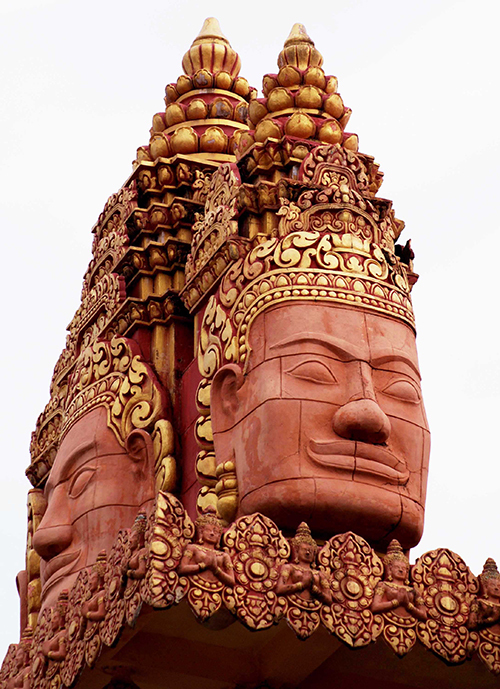 The four-faced god or "prum" with each face representing a character in the four immeasurables of Buddhism: loving-kindness or benevolence, compassion, empathetic joy and equanimity. 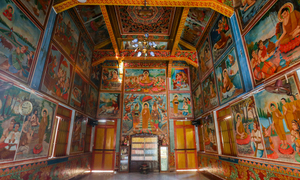 Opposite to the sanctum is the main pillar with the symbol of Naga, the snake deity, which are lit up during festival days. 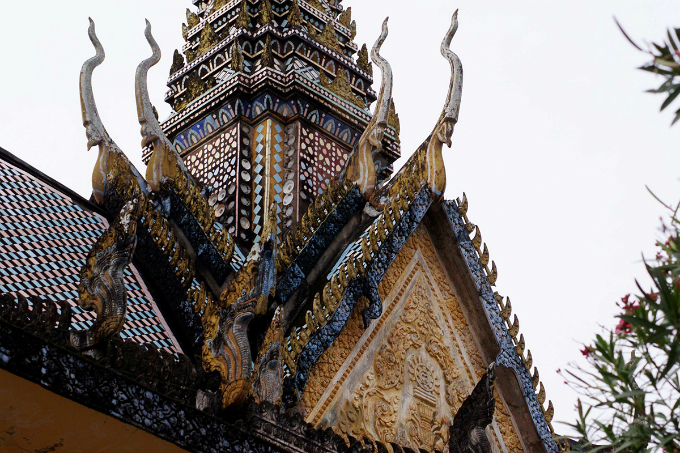 A signature design of Khmer culture on the temple roof. 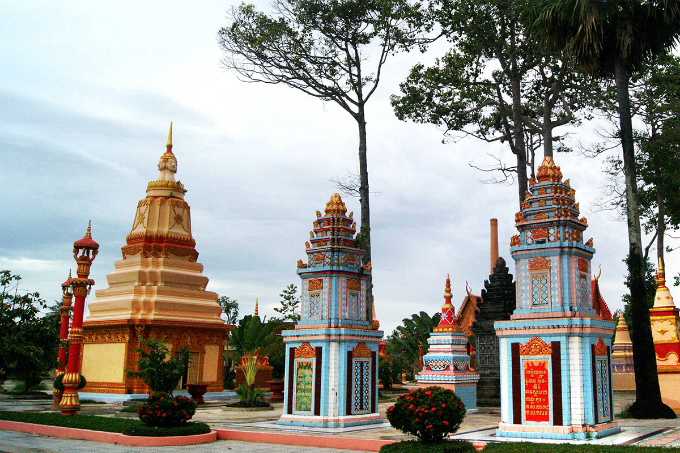 Xiem Can Pagoda is a famous place of worship as well as a tourist destination not just in Bac Lieu Province but also in the Mekong Delta as a whole.